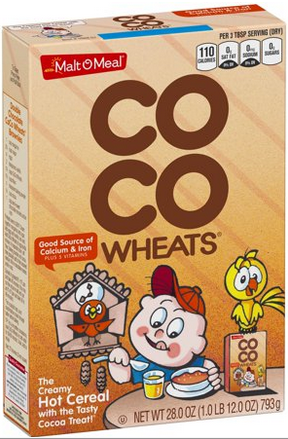 This morning I decided on CoCo Wheats for breakfast. My only problem with the hot cereal (besides its lack of whole grain goodness) is that by the time I’m done eating, I’m rather sick of it. Perhaps next time I’ll cut back the serving size from three tablespoons of the dry granules down to two. At any rate, while waiting for the next thirty second interval to stir again, I read the label. It was a pleasant surprise finding farina wheat and cocoa as the first and second ingredients, with the rest all (I think) either flavoring or vitamin supplements. What made this worthy of a blog post was the warning that followed. Contains wheat. You don’t say. 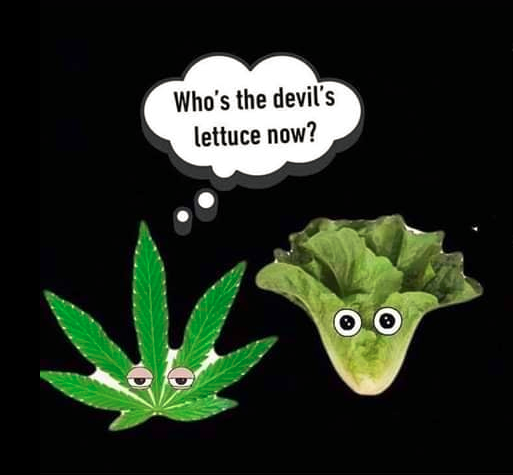 That cracked me up. It shouldn’t surprise me, though, considering all the people with food allergies and our US society’s litigious tendencies. Talk about a ‘first world problem’, having to admit a product contains what its name states. A friend amused me with that apt saying, by the way, when an acquaintance complained about his neighbor’s loud heat pump. That dude actually wrote about it for a poetry slam! Now I’m encountering the phrase all over the place. Have you heard anyone refer to a petty complaint as a first world problem? It’s no secret I lead a blessed life. Too many others are not near as lucky. I hope you are one of the few. As for the many unfortunate, this morning my house was filled with the sound of rioting. My husband has been fascinated with the upheaval in France. I can only pray for peace in Paris, that nobody gets killed. As I type this, darkness is falling upon Western Europe. ~shudders~ As SO put it, this (fill in the blank) is about to get real. I decided to check out what’s happening on more personal social media, maybe enjoy some cute furry family photos. Instead I found continuing misery. It seems everywhere I turn there is pain, even death, several folks requesting prayer for peace and hope. A long-time Internet friend and sweet southern belle has to take her newborn to the hospital for more testing as he suffers some sort of deficiency. I got to see her live camera feed shortly after the C-section delivery. She looked exhausted but happy. On the bright side, they expect his full recovery. One writer I befriended on FB raised a kitten from birth over the summer. He was the sole survivor of that litter. Every day she posted photographic updates of that darling boy. 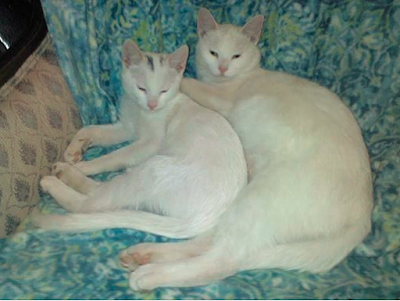 She nursed him through several stubborn eye infections, helping him grow into a handsome, healthy, lanky and loving little fellow. For whatever reason, she kept the mother cat but turned Sammie’s kitten over to her adult brother. What news did she post today? 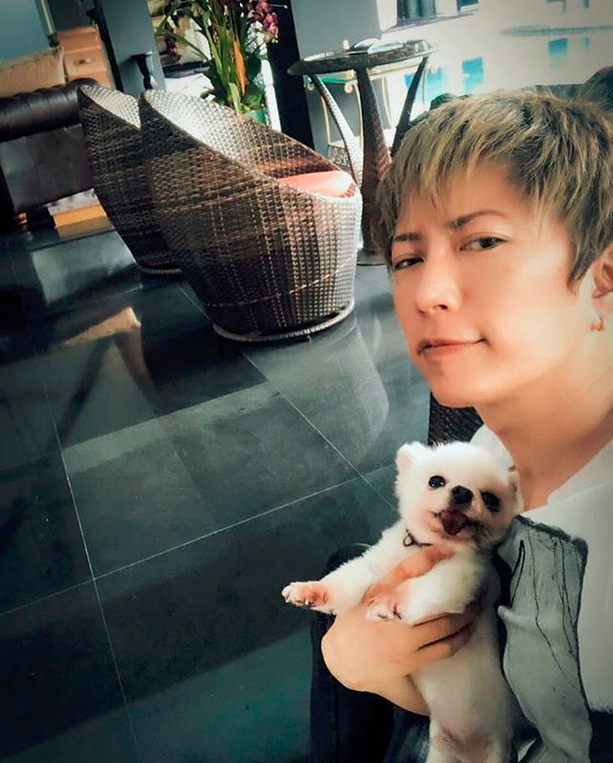 Another photo sent by her sibling? Her brother somehow let this young cat outside where he got struck and killed by a car. I felt physically sick upon finding that on top of all the other suffering and sorrow online. 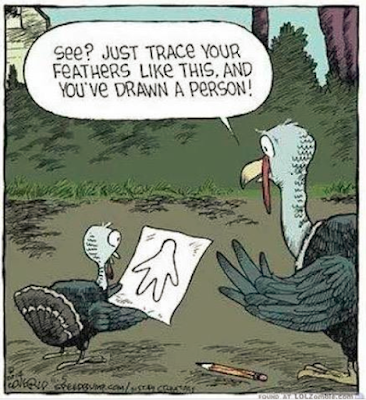 What a minor relief to find the following cartoon. It stems from suffering, too, but I hope you enjoy nonetheless. And you know what? I’m glad not to have plans. I’m grateful we had our share of big gatherings while my mother still lived. I’m also thankful our dispersed family no longer expects my partner and I to drive across the state. Commuting for every major holiday got old. Easter was perhaps the worst, with just about everybody heading home at the same time late Sunday afternoon. With more cars every year, an average weekend can make for a dangerous drive. As for the second part of my title, Happy Birthday sweet Emerson Barrett! He’s at left in the ‘hear no evil’ mime with his brothers. On this day of giving thanks, I can’t thank heaven enough for the music of Palaye Royale. All my life, I’ve had an overactive imagination. When my parents failed to return from a party as expected, my panicked young self assumed them wrecked along some country road across the state. I lay awake all night until they came home. Then I read them the riot act. As it happens, they decided to stay overnight with those relatives hosting the shindig. This was, of course, an era long before cellular phones. Why neither thought to call or even leave a contact number in case of emergency is anyone’s guess. But knowing my father’s extreme frugality back then, he likely didn’t want to incur a long distance bill for either party. Fast forward several years, and the same happened with my now-husband when he drove a long, slow way in the snow from a friend’s house on the route to visit me, then stopped and stayed with his mother a few miles away. At least I heard from him before morning, though I can’t recall who made the call. I might have reached out to his mom. Either way, we still laugh about my concerned rant so early in the relationship. Now, my man has more foibles than me, which makes my entire situation worse. This comes to mind today because I decided to light some candles at my current laptop ‘desk’ before realizing some laundry needs cycled and my hair dried after a swim. I can’t walk away from these lit votives for more than a minute or so without picturing the house going up in flames, especially not when thinking of our California wildfire sufferers. DH would have a fit if he saw me do such a thing, too. It’s not a big deal, of course. They’re just getting lower and lower, trickier and trickier to light. Reading this, it seems I want to delay today’s writing for some reason. It’s the only excuse I can see for writing such a silly post. Be that as it may, do you like burning candles? Could you walk away for a bit without extinguishing them? I used to wake with story ideas first thing most mornings. While writing is a tremendous joy, I hadn’t realized how much I missed that wakeful muse until its return two nights in a row. Friday’s was at 2:30 in the morning, all but sitting me up in bed and popping open my eyes. But I won’t complain. It’s more a joy, even, because I later remembered the idea that woke me while having been too groggy to make note in the darkness. This morning I plan to start my NaNoWriMo project’s opening over again following a new and, I think, more interesting scene which should meld fine into what follows. I’m excited. 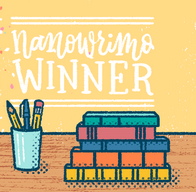 But first, let me tell you I wrote Saturday’s NaNo quota in near record time. As a result, I decided to meet with other participants upstairs at the Gem City Catfé. It’s a neat place new to me. I hope to bring my husband and pay to play with their shelter kitties (bringing one or two home as a result would be nice). In the ninety minutes or so spent there I got to visit with a close friend and still accumulated five hundred new words. 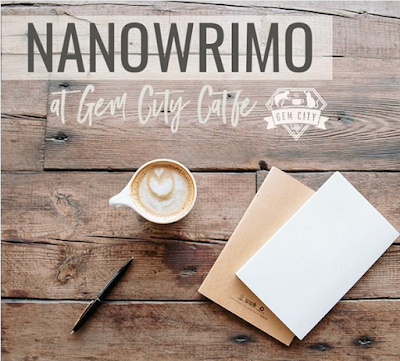 The owners have gone so far as to put a sign in their window welcoming NaNoWriMo writers. Not so nice was the excitement encountered before my second to last freeway exit. I was about to leave I-75 and head east on Route 35 when the pickup truck two vehicles ahead of me lost something long and thin. Did you guess it was a garden hoe? They must have been landscapers. I hope the perpetrator saw it happen and secures all tools better in future. It’s hard to say (and here’s my holiday memory). My older brother once lost a Christmas tree off the bed of his truck and didn’t notice. He pulled over upon realizing Mom and I were no longer following him down that country road. Then it occurred to him he shouldn’t have been able to see out the truck’s back window. Heh… Good times. Anyway, that hoe tumbled end over end through the air. The car ahead of me almost drove off the freeway. I’d like to congratulate him or her for quick reflexes and skillful handling. Thank heaven that stretch has a wide shoulder and nobody was tailgating for a change. My swerve was much less dramatic, the hoe having come to a rest just left of center in my lane. I can only hope nobody got injured. No northbound traffic backup on my way home indicated a major accident, at least. Have you ever drank matcha? As more and more vehicles hit the streets in my little suburb, people seem to drive angrier and angrier. I admit to sometimes becoming frustrated to the point of snapping. I’m happy to say no accidents have thus far resulted for me on either side. I am getting so tired of commuters cutting me off because I don’t know a lane ends ahead. Do they really think I’m being malicious or believe they’ll reach their destination that much sooner? Some find their final destination every single day. I believe more deaths (or at least fender benders) result from anger than drunkenness, though driving intoxicated is a terrible idea. On my way home from the gym minutes ago some dude risked both our safety and vehicles over my judgment call. Let me be clear. He had plenty of time to slow down for one more car as I merged into slower traffic ahead of him. He raced around me and, instead of continuing on his angry way, cut me off with inches to spare. To be honest, I flipped him the middle finger to express my displeasure. The dude did the same. How original. So I blew him a kiss before taking my turn off that hellish route. That sort of encounter always unsettles me, more than it should. Before reaching home I wondered if I could make two signs for that sort of incident, one in reverse for jerks like him. It could read, “Have a better one” or maybe “Sorry you’re having a bad day.” There’s no doubt everyone has a rough day now and then that shortens his or her fuse. But taking time to read might cause an accident my blessed reflexes and distrust of other drivers thus far keep avoiding. Maybe I could draw a big red heart. Or a broken black one. Then again, some of these hateful acting people might run me off the road and beat me to death. I wish I was joking. Don’t you wish there were a breathalyzer test for rage that would prevent a car from starting? I’ve been meaning to share a summertime find, a weird but wonderful fruit. Called Moondrops for whatever reason, they look like those tiny party-time sausages so popular in the Midwestern United States. In fact, I find it funny that my sister-in-law always used grape jelly in her sauce recipe for them because these fruits are, indeed, grapes. Meanwhile, winter is knocking at our door. Literally. As you can see, I woke to ice encased vegetation. My Knockout rosebush has been flattened. It should recover. My flag, however, left out since Veterans’ Day (my bad) did not fair so well. After I took a few photographs I made the mistake of trying to peel ice off the fabric. I should have let it thaw naturally. An aged symbol of our nation, my flag ripped. In retrospect, the shower would have been the perfect place for Old Glory to thaw. Inside, meanwhile, Jezebel (one of my true fuzzy friends) stayed cozy on her blanket. As you can see, it’s virtual camouflage for her. As for the final image, you will want to give it a skip if you don’t like creepy crawlers. My run-ins with centipedes has slowed, but this big fellow below greeted me a week or so ago. What kind of weather did you wake to? "Good morning, Darla! How did you sleep... over there... in the next room? You looked pretty comfortable as I ran over your bed." The first half of my title sort of says it all about the weather. I’m not complaining. This is perfect for cozy writing time, hence the joy. To be honest, though, there is no imperfect weather for me to write except in the case of an active local tornado season. Back when we lost power from a hurricane blowing through the Midwest one autumn I wrote with pen and paper. 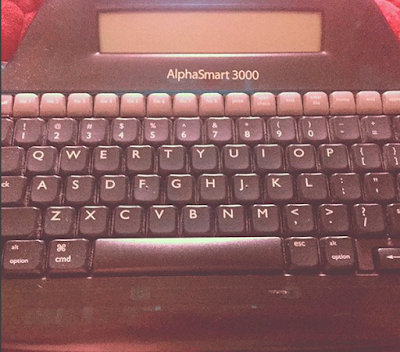 These days I have the option of using my offline AlphaSmart3000, a unit once no doubt used in a library or school (there is a number written on the bottom, I presume so a teacher or librarian could keep track of their devices). That brings me to a question. Should I set aside the laptop, brave the rain, and take my AlphaSmart someplace bright and cheerful where I can people watch? Last night I acted like someone aged thirty, not a woman on the cusp of fifty. Today my body feels it, though not too bad. I’m recovering. And I had a wonderful time. 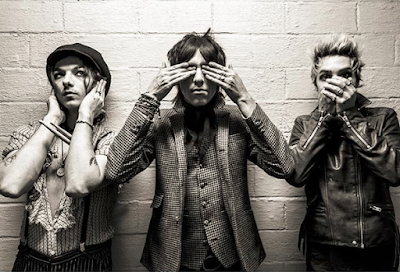 Palaye Royale came to town again, performing at the same venue as last March. This time, they were the headlining act. Three bands opened for them, all with a majority of female members. I don’t know if this was intentional, though PR frontman Remington Leith made mention. Whatever the case, they all rocked the house. I liked that there seemed to be a bluesy thread to some of the groups’ songs, not unlike many PR tunes. Without a doubt The Haunt, Dead Posey, and Bones kept me on my feet before the main act. Well, truth be told, there was nowhere to sit. For whatever reason, the back bar and upper balcony were closed off, perhaps due to the somewhat smaller crowd. I’ve learned that comedy clubs rope off unsold seats so people pack tighter together. Proximity, it seems, makes reactions more contagious. I basically danced around for four straight hours. 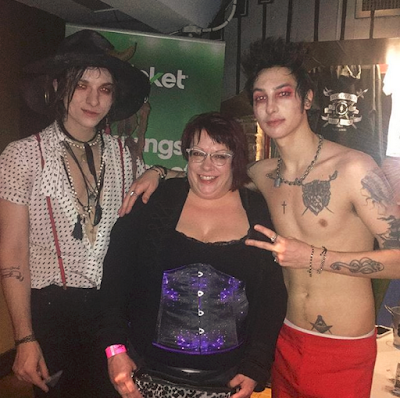 Of course Palaye Royale did not disappoint. Besides several well known favorites, the guys performed some new music not on either “Boom Boom Room: Side A” or “Side B”. It was a blast, even if I didn’t get to talk to any of the brothers this time. I did see drummer Emerson Barrett up close. When he walked past me toward the entrance I followed. ~grin~ He went for a discussion with their merchandising guy but took time for a few photos. Seeing how much meeting the band means to these kids both in person and online, I hung back to give youngsters opportunity. When Em said, “one more” and pulled a very young girl out of the small crowd I could only stand there smiling. Their planned meet and greet got postponed by a late arrival, so I headed home at eleven instead of getting in line with all those young girls. Again, it seemed only fair to give them the chance I received months ago. Today a brief consideration to hit the gym is off the table. It’s taking a minor effort to stand for any length of time. Heh… So, it’s back to writing for me. Meanwhile, I’m trying to decide how to count my activity on the ActivTrax fitness software. Do you thank it fair I count last night as two hours of light exercise? Do You Like Science Fiction? Own a Kindle e-Reader? I wasn’t very imaginative with this blog post title. But this is me promoting a friend, author Daniel Coldspring. 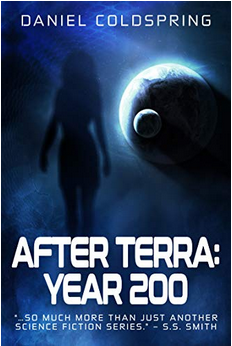 The first novel of his three book science fiction series “After Terra” is available as a Kindle e-book now for FREE on Amazon.com. It’s a really exciting time. Daniel moved to Ireland with his lovely new bride this past mid summer. I miss write-ins with just the two of us, but seeing the happy couple in August warmed my heart. His second book, complete with his autograph, is on my nightstand. My favorite part of his debut “Year 200” are the characters. There is a lot of depth to each person. The story is like icing on the cake. You can read my review here. Did you know today is the tail end of Irish Book Week? In an unprecedented decision, I’m opting to share the beginning of my story written yesterday. The following is around 570 words, so don’t feel obligated to read the entirety. It does include mild profanity (the… uh… opposite of heaven mentioned twice in the first sentence). Hope you’re having a good Friday! He still didn’t honor my request for even so simple a thing as not using that stupid nickname. I shook my head and closed my eyes. This rundown apartment in a smelly tenement was all he could afford. The clutter could be helped but he junked his place up the second I finished tidying. He cracked open his third or fourth can of Bock. The man had the nerve to snort. I could almost hear his standard joke about there being nothing in my head to start. Purse in hand, I pulled out my car keys. He blinked at my hobble toward the door. At least he had the grace to gawk. I shut the door on his fat grimace. Not for the first time, I found myself grateful for never having given him a key. Of course I had his inferiority complex to thank in part. Ascending to the ground floor hallway, I looked up in surprise. 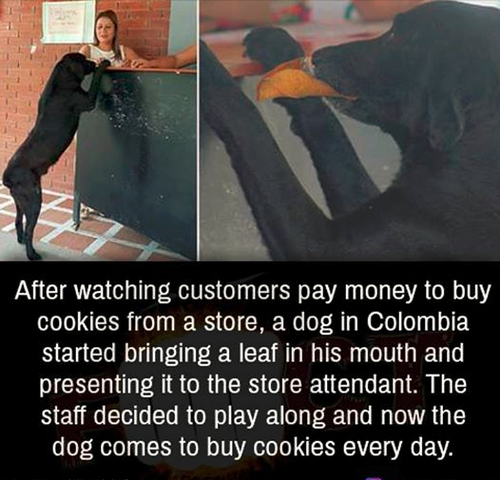 An aged woman stood with a little dog at her feet, clapping her hands. The light smacks wouldn’t carry far. Her bright smile would show on satellite. I blinked at her. She had a point. In my mind I pictured the attractive fellow who caused my misstep leaving the market. He didn’t so much as glance in my clumsy self’s direction but I saw the way he looked at a woman who might have been his grandmother. He held her bagged groceries while she got situated on her powered wheelchair, then he secured them in the attached basket and made sure she crossed the street safe before going on his way. Ben couldn’t be bothered to carry his own booze. On that note, what was I going to do with all that beer I’d bought in an attempt to lure him over? Over every season, Bock came out with some limited edition brew. A summer shandy took up refrigerator shelf space next to this autumn’s pumpkin spice. Reaching my car, a solution occurred to me. Of course! My friend Nan invited me to her neighborhood block party. Those were always BYOB affairs. I’m always curious as to whether the occasional use of italics, especially in dialog, is distracting or useful. I guess you can tell which way my opinion leans. Hard to believe the year is coming to a close. Time moves so fast since I left the workforce. I’m blessed to have so much time to write for my enjoyment. On that note, November means it’s time for National Novel Writing Month. I believe this is my eighth year of participation. The goal is to write fifty thousand words before December rolls around. To be honest, I almost didn’t sign up this year. I wanted to work on unfinished tales from my series. There are so many project ideas resulting from prior writing challenges (I also wrote fifty thousand words for ‘Camp NaNo’ in both April and July). A friend changed my mind. It will be his first attempt, and he told me he looked forward to my encouragement. How could I back down after that? So, I am setting aside my beloved series and plan to rewrite something else started many years ago. Back then inspiration came from another writer’s original characters shared, of all places, on a fanfiction website (now defunct). I wanted to finish his or her story, in fact. But this talented person (whose interesting pen name was DonkeyJaws19) was nowhere to be found to ask permission. Thus, a very different original tale came into being. Today I’m going to start fresh on ‘Awakening Arick’, a tale of magic and love, adversity and discovery. Arick is a very special young man with no clue as to his potential. First, I need to clean my two fresh water aquariums. It should have been done a week ago. If I start writing now there is a good chance the chore will be postponed yet another day. I can’t have that. Guilt is weighing my mind as it is. But once I get moving the whole process only takes about an hour. Wish me luck on the challenge. Should be fun. Do you keep fish tanks?